You've probably heard that applicant tracking systems use resume keywords and phrases to search for the most qualified candidates for a job. But do you really understand exactly how ATS software analyses keywords? Let's demystify the ATS screening process a bit so you'll know how to most effectively weave keywords into your own ATS optimized resume. If you aren't already familiar with the basic information about what an ATS is and how to determine if it is relevant to your job search, you can find that information here. When your resume will be screened by an applicant tracking system, it is crucial to get two things right - your formatting, and your keywords. Employers who use ATS software to screen resumes will have the software search for specific criteria on your resume, in part by looking for relevant keywords and phrases. Generally, the more your resume keywords and phrases match the words the ATS is searching for, the better your resume will score. You need your resume to score well in ATS screening in order for a human reviewer to see it and consider bringing you in for an interview. It's not enough to simply sprinkle a few keywords on your resume and expect to score well in an ATS search. You need to include the right keywords throughout your resume and phrase them correctly. Be sure to use the exact match of the job title that you are pursuing whenever possible. ATS software often gives a higher score to resumes that include an exact match job title. Also, you will need to look for important key phrases and words that stand out in the job ad and include them throughout your resume whenever possible. Be sure to write the words and phrases from the ad exactly as they are written in the ad because these exact phrases are the ones most likely to be used in scoring the resumes. Newer software does more than just look for keywords. The more sophisticated ATS software looks for keywords in context. Therefore, it is best to include keywords within the context of describing your job duties, accomplishments and skills instead of just writing a long list of keywords. Some ATS software gives extra weight to rare resume keywords and phrases. If you have a relevant skill or qualification that a lot of your competition may not have, be sure to highlight that skill because the software may give you extra points for it. If there is more than one way to describe a skill or accomplishment, be sure to include both options on your ATS optimized resume. For example, if you are a registered nurse, be sure to write that phrase out in full, and also include the popular acronym RN somewhere on your resume. If you use both versions of this word, you are taking an important opportunity to include an additional keyword on your resume, and you are helping your resume to score well whether the ATS is looking for "registered nurse" or "RN". Similarly, if separate skills are commonly grouped together, list the skills separately and as part of the group. For example, if you are familiar with Microsoft Office, mention Microsoft Office on your resume, but also be sure to list separately each individual program you know within Microsoft Office (Word, Excel, etc.). When I say your keywords need to show a depth of experience, what I mean is that you need to place important keywords throughout your resume to show length of time you have used a specific skill or area of knowledge. ATS software can look for the duration of your experience with a specific skill by comparing the relevant keyword in a job description with the dates that go with that particular job description. For that reason, it is important to include a thorough description of your experience under eachh job you have held. This consideration becomes particularly important if you've done a similar job for more than one employer. If you have used an important skill at more than one job, be sure to include that skill under each relevant job entry. If you were writing a traditional, human-reviewed resume, you'd normally try to avoid this type of repetition. However, with an ATS optimized resume, repetition like this is acceptable, and even desirable, because it shows a depth of experience in your field. There's no single, one-size-fits-all, perfect list of keywords that works for all jobs. Instead, you need to research keywords for your industry in general, and for every single job you apply to. That task is less daunting than you might think. Once you've done the initial research, you can apply a lot of that information to subsequent resumes you write for other job applications. What is an ATS Optimized Resume and Do You Really Need One? Get the basics on applicant tracking systems. Understand what they are and which employers typically use them in their hiring procedures. Why you need to use ATS formatting when the employer requires it, even though an ATS optimized resume is less reader-friendly to humans. Here's how to save your ATS optimized resume to ensure it does not contain any special characters that could cause problems and it is saved in the format the employer requires. Here's a sample resume formatted for ATS review so you can see all of the recommendations in action. 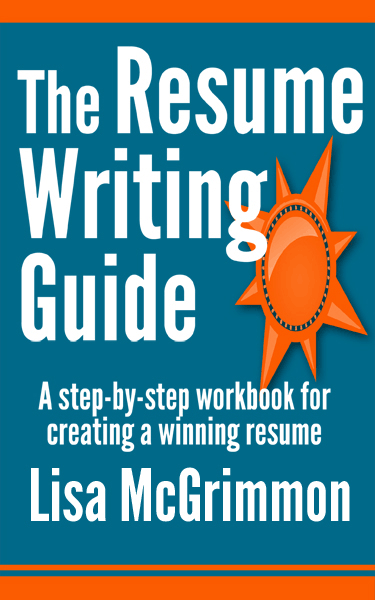 My book, The Resume Writing Guide, will give you step-by-step instructions for writing an effective resume optimized for human reviewers or ATS software.